PR is all about positive branding. Today, this concept is so much more than just setting a color scheme and picking a recognizable logo. It is about creating a persona that encapsulates every aspect of your business so it can be easily communicated to your audience. Furthermore, good branding is meant to establish trust with your audience. Today, consumer trust is at an all-time low—mainly due to the influx of ‘fake news’ and dishonest stories shared online. This unfortunate phenomenon has caused many people to change the way that they view brands in general. Trust is essential for both sales and customer loyalty. How can PR teams combat this negative trend? The answer is to get your customers more involved with your brand. Getting your customers onboard with your branding efforts can help your business build better connections with your audience. So, the question is, how do you do it? User-generated content (UGC) is one of the most genuine and real forms of PR that your company can use, making it very powerful in building trust. In fact, 70% of online consumers will look for UGC before they make a purchase. Including this kind of content and reviews on your social media accounts can boost SEO rankings and web traffic, too. Make UGC a part of your overall PR and marketing plan by doing things like re-posting pictures or videos from customers that feature your product or logo. When it comes to reviews and testimonials, do your best to spread them out across all your touch points—like your social media pages and website. Need help building a library of UGC? One clever and effective way to get people to start using your branded hashtags is by turning it into a social media contest. For example, Smile Direct Club hosts a contest with their very own hashtag #WhatMakesMeSmile. They feature one user post every month that includes the hashtag and gives them a month’s supply of the product for free. It’s an easy and creative way to boost branding and encourage UGC on a regular basis. To get people involved with your PR and branding strategy, there needs to be a simplistic and straightforward opportunity for them to join in. For this purpose, incorporating some guerrilla marketing tactics into your current approach is a great way to create unique chances for your audience to connect, and even get some free promotion. Guerrilla marketing is all about making bold statements through creative outlets that are outside of traditional advertising spaces. One easy way to get started is to include your logo stickers with customer orders or just give them away in your store or at events. When your customers display those stickers on their car, laptop, or anywhere else, more people will start recognizing the symbol, which, in turn, will translate into more brand visibility. Holding an offline event is another form of guerrilla marketing that works well for businesses that typically only exist online. Hosting a pop-up shop provides customers with a one-of-a-kind experience and is a great way to create human connections with your audience. It also opens up opportunities for creating more UGC by encouraging social shares at the event and giving your potential customers something to talk about. Connecting with influencers has become a major marketing and PR strategy for brands across the board, and for a good reason. These accounts work to create a genuine community connected by their love and use of a specific brand. 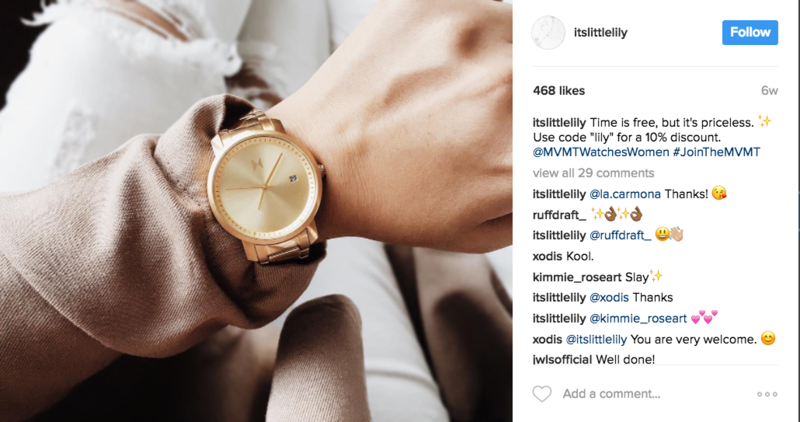 However, many companies get so caught up in trying to connect with huge names that they completely overlook a vast sector of the social community: micro-influencers. These accounts may have fewer followers, but their recommendations oftentimes carry a greater weight and their audience is much more focused. In general, the more followers an account has, the more diverse the interests are. 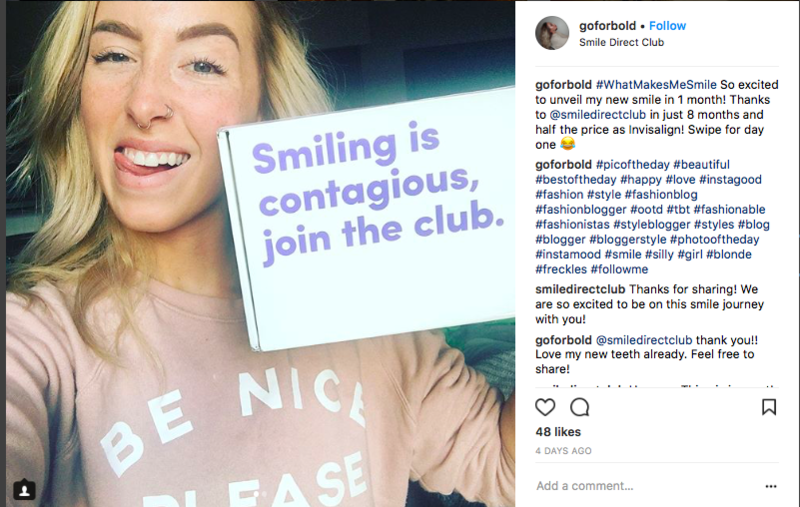 Another thing that makes micro-influencers unique is that they are less likely to be swayed into a promotion just for a paycheck. Their opinions are often rooted in authenticity, so connecting with micro-influencers that are true fans will be much more effective than introducing one to your brand and hoping that things will go well. Take a look at your current follower base and see if you can spot the accounts that are highly engaged with your brand already. Accounts that regularly like, share, or comment on your content could be a sign that they may be a good fit as influencers. If you do find potential micro-influencers, be sure that your brand will naturally fit into their content and reach your customers. Do they produce quality content that is relevant to your audience? Are they experts in their niche? Do they regularly engage with their followers? Remember, this account will represent your brand, so it has to be a good fit in order for it to be effective. Creating real connections between your brand and your customers must be a key part of your PR and marketing strategy. Show your followers that you value their opinions by featuring their content on a regular basis. Create unique opportunities for people to get involved with your branding strategy. And, finally, connect with the movers and shakers that already love your brand and use it to help both parties. Getting your customers involved builds a sense of community that can nurture trust and positive attitudes for many years to come.